April 3, 2016 (Sycuan Reservation) –The Sycuan Tribe completed a major reduction in overall water usage through an aggressive conservation program that includes retrofitting irrigation equipment, removing and replacing water-dependent landscaping and increasing awareness around the importance of water conservation. January 16, 2016 (San Diego’s East County) – Ratepayers in the Helix Water district have been under a state mandate to reduce water use by 20% under the Governor’s orders imposed last year during the drought. But a new draft regulatory framework just released by the Staste Water Board would cut that to 12%, if approved. March 20, 2014 (San Diego)--California is in the midst of a drought emergency, and there’s no relief in sight as our unseasonably warm winter continues. Gov. Jerry Brown is asking all residents to cut water use by 20 percent — something that may be easier than you think. September 18, 2011 (Rancho San Diego)—The Rancho San Diego/Spring Valley Rotary Club hosts its fourth annual fundraising event, La Bella Vida Wine and Food Fest on Saturday, October 8 from 5-8:30 p.m.
April 3, 2010 (Rancho San Diego) -- On Saturday, April 24, from 9am-4pm, Cuyamaca College’s campus will bloom with activity as three of its on-campus venues—the Ornamental Horticulture Department, the Water Conservation Garden, and the Heritage of the Americas Museum—invite the public to celebrate spring at their 17th annual Spring Garden Festival. “Conservation in Bloom” is the theme at this family festival that includes tips on green living. Admission and parking are free. A range of crafters and vendors from throughout San Diego County will be featured, in addition to activities ranging from live music to a birds of prey show. June 2, 2009 (El Cajon)--On June 1, the City of San Diego’s mandatory water restrictions go into effect. http://www.sandiego.gov/water/conservation/drought/droughtlevels2.shtml. the Water Conservation Garden at Cuyamaca College has plenty of tools to help you deal with impending water restrictions. May 12, 2009 (La Mesa)-- – With the water restriction use being enforced on June 1ST Grossmont Shopping Center is hosting a Learn To Conserve event on Saturday, May 16TH in Macy’s Courtyard. The event will run from 10a.m. – 2p.m. Event partners will provide tips for water and electricity conservation and host fun demonstrations. 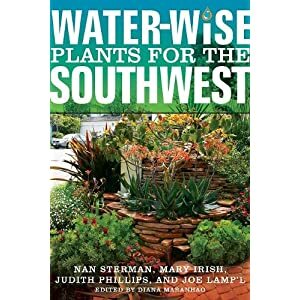 April 4, 2009 (San Diego)—With water districts urging consumers to cut outdoor water usage by 40% amid the drought, homeowners are left wondering how to maintain an attractive yard without being water hogs—and paying hefty prices to be levied against heavy water users. The California Landscape Contractors Association (CLCA) offers some recommendations for consumers to make smart choices and protect the environment even with mandated water reductions.